Home » Fitness » Busy Mom Fitness » Family Vacations Reinvented! Are you planning another family vacation that’s heavy on sedentary activities? Try switching gears- check out places that are both tranquil and encourage your family to stay active while on vacation! Take your family camping in the great outdoors with picnics in the forest. Go on hikes as a family to teach your children about nature and how to preserve it. Go stargazing, kayaking, canoeing or fishing. See what local organizations or businesses are having events. See what you can do for free! Not only are outdoor vacations fun and exciting, they’re also much cheaper than amusement parks and resorts and sometimes cost nothing at all! 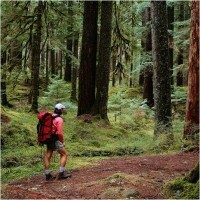 For foods to pack on your outdoor excursion, and how to keep them safe while camping, check out www.Superkidsnutrition.com. Comment on Family Vacations Reinvented!